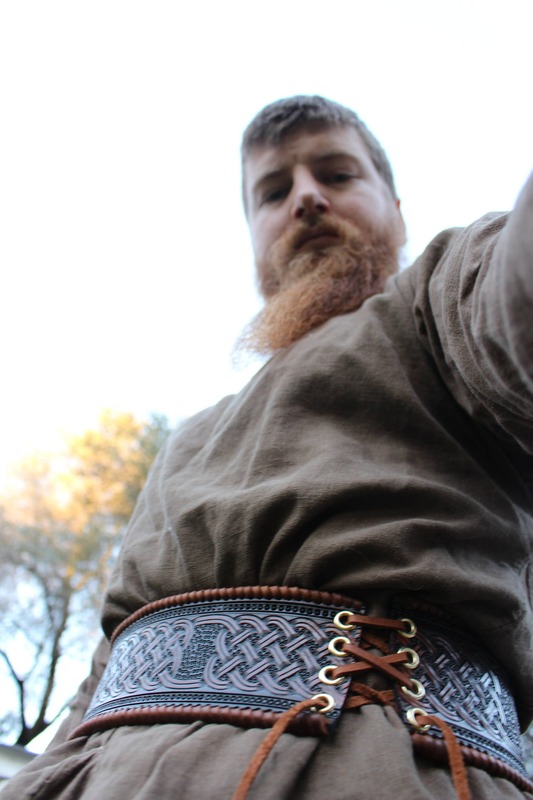 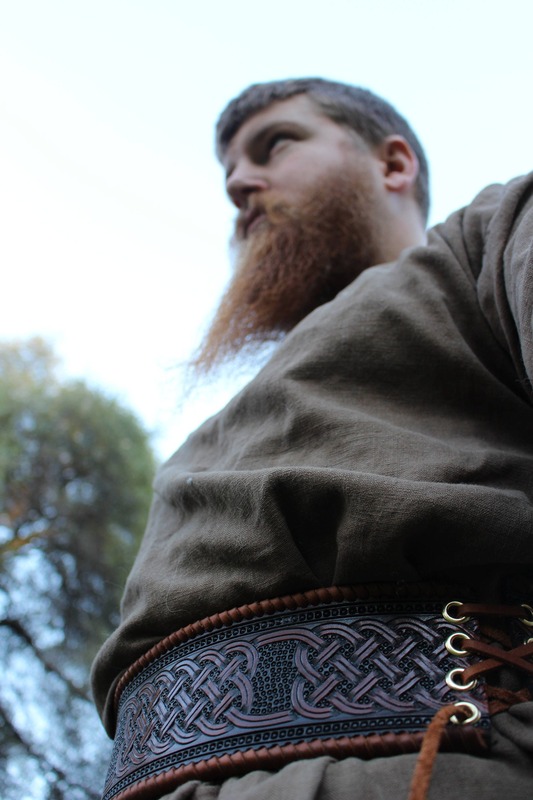 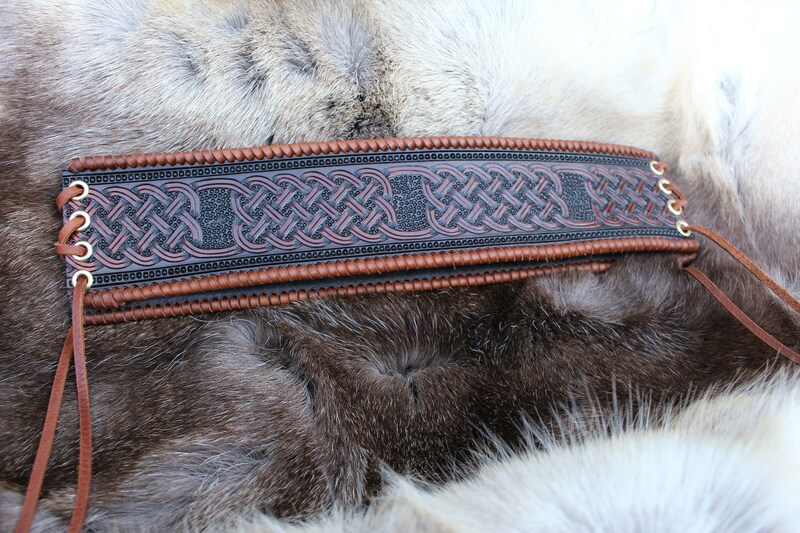 Hand crafted Iron Age/Viking kidney belt is crafted from the highest quality materials available. 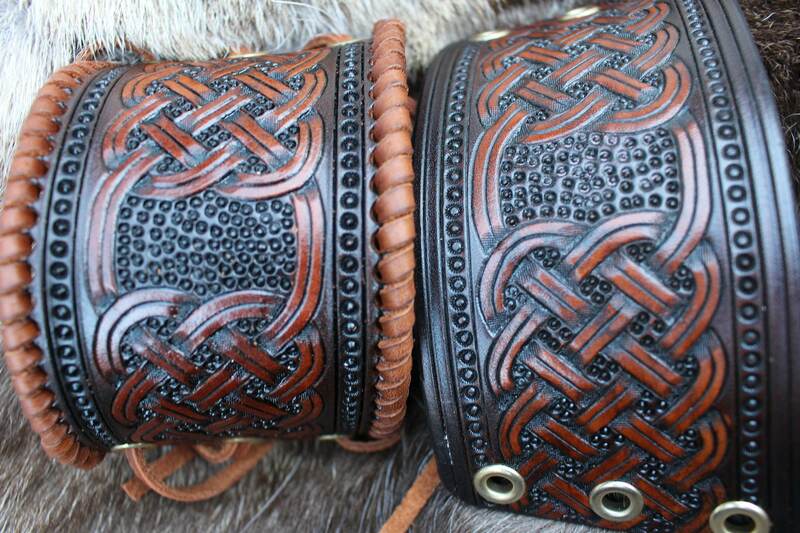 The leather itself is the highest quality European leather on the market from the oldest European tannery in the world. 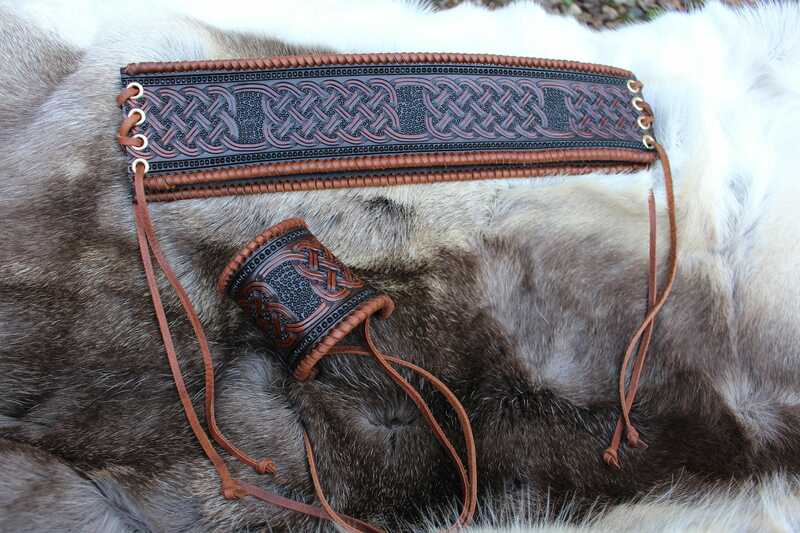 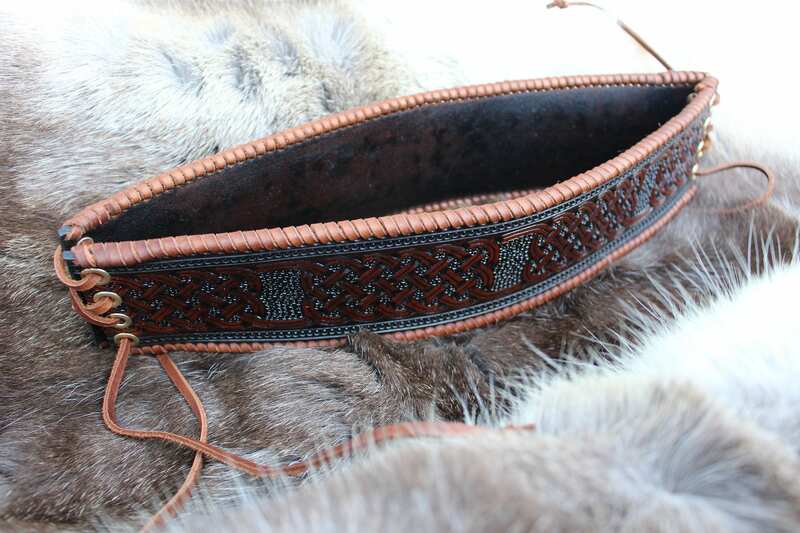 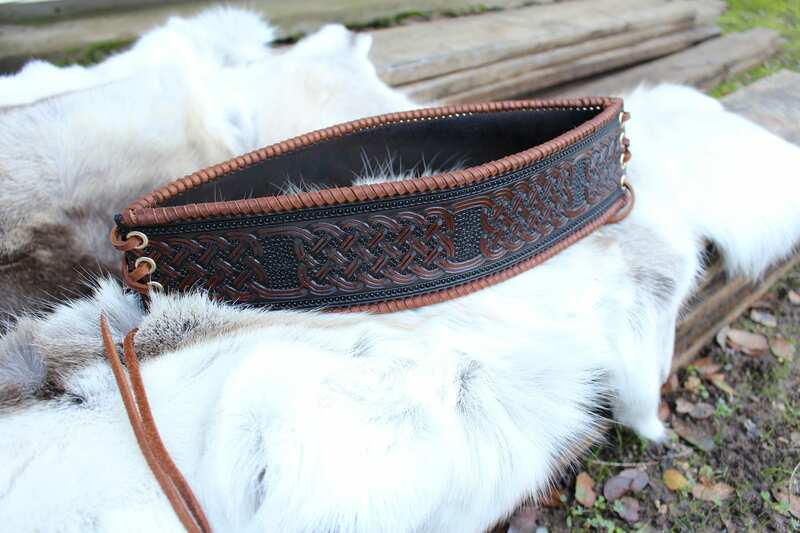 If you order the upgraded version i line the inside with a grade A black deer skin which is the softest strongest leather available, also the hand crafted brown edge lace is all cut by hand and is extremely strong i personally can not break it by pulling on it as hard as i can. 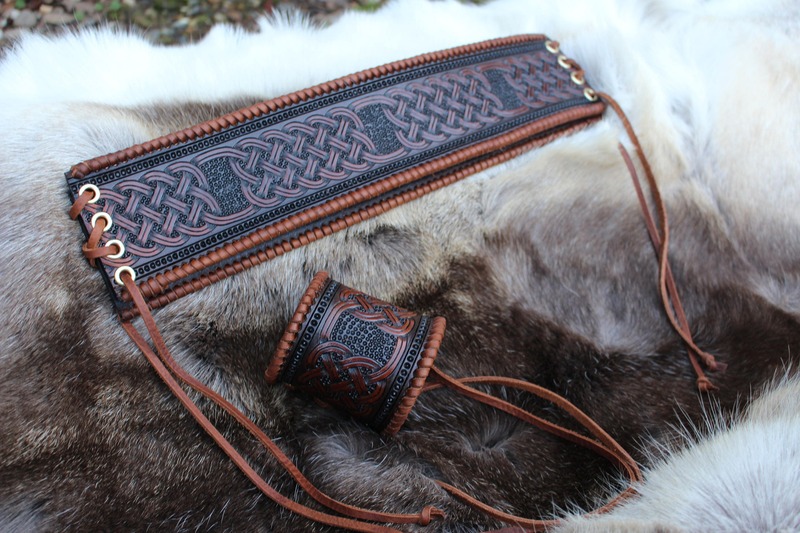 The knots are a traditional knot that was found on a piece of pottery in Norway, all my work is custom so if you have an idea for custom work shoot me a message and we will see what we can do for you! 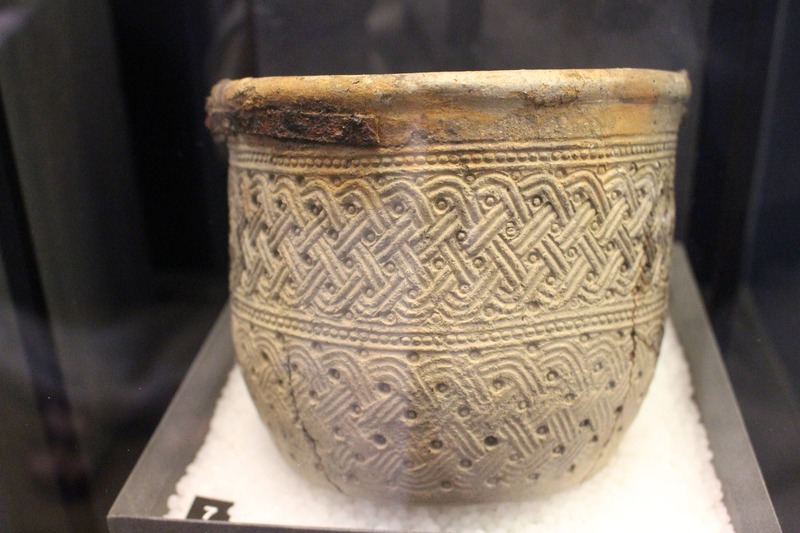 The last picture in my listing shows the piece of pottery that i based this art off of, i had the pleasure seeing this piece in person in Norway. 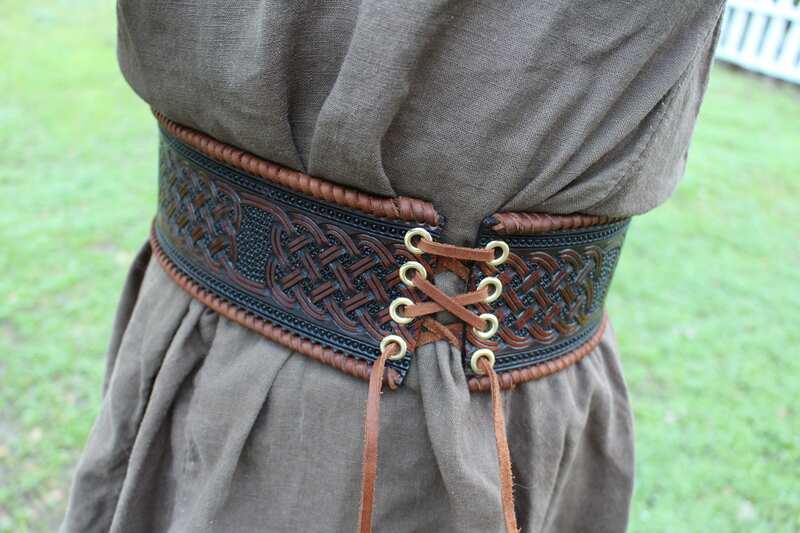 Armguards are not included in this and are just an example to show the difference between having and not having the lace on the edge.